You probably already know that Nashville is a city built upon the performing arts. 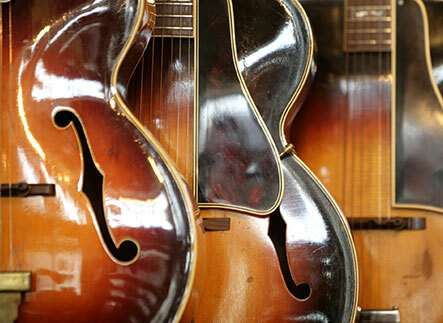 With such a flourishing music and entertainment scene comes a plethora of fantastic venues. One of the most iconic is the Nashville Music City Center! This beautiful, 2.1 million-square foot convention center has hosted countless exciting events. Read on to learn all about this unique venue. Don’t forget to access our free Music City Travel Guide for more local venue recommendations (plus restaurants, shops, and more)! If you’re wondering what happens at the Music City Center, you’re in luck: There’s a little bit of everything! Events like town hall meetings, business conventions, luncheons, and the CMA Fest have all called this convention center home. Be sure to check the upcoming events calendar to plan your visit in advance! The Music City Center isn’t just a lively event space—it’s also an architectural gem. This venue features clean lines and curves that flow seamlessly into one another. Ceilings look like architectural grand piano keys, while rooms feature curved walls and phenomenal acoustics. These details create a truly impressive venue space that’s as Instagram-worthy as it is important to the community. The artistic traits of this event space doesn’t end with its striking structure. Local art pieces also adorn its walls, bringing the space’s creativity full-circle! 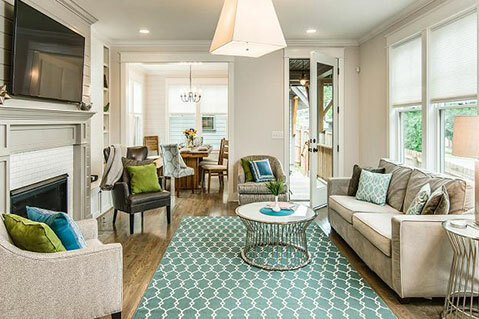 One of the best features of the Music City Center is its eco-friendly properties! The massive structure was built with environmental sustainability top of mind. The structure is LEED-certified (at the Gold level) and includes an array of environmentally friendly features. There’s a 14-acre “green” roof, a 360,000-gallon rain water collector, and 845 solar panels. The 211-kilowatt solar panel system, LED lighting, and high-efficiency HVAC system create an energy-conservation-focused structure. There are even electric vehicle charging stations available in the parking area. Stay Within Walking Distance of the Nashville Music City Center! If you’re looking forward to an event at the stunning Music City Center, we encourage you to skip the boring and impersonal hotel room. Instead, book a beautiful and luxurious vacation rental! Many of our Playlist Properties are located just a few blocks away from the Music City Center. In addition to gorgeous interiors (that will rival those at the convention center), you’ll enjoy premium amenities like gourmet kitchens, convenient key-code entry, rooftop decks, and reserved parking. 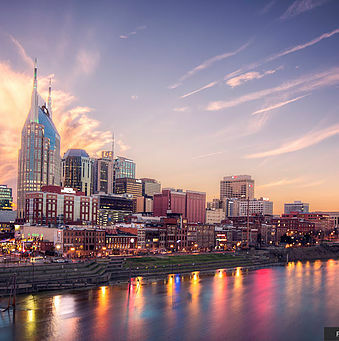 Browse our downtown Nashville properties and pick your perfect home away from home now! 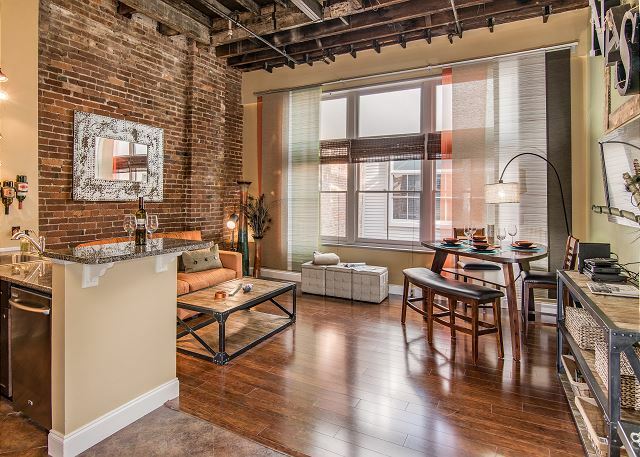 From the Good Times Loft (with a statement brick wall) to the Rockin’ River Loft (with incredible city views), our properties offer the ultimate Nashville lodging experience. Ready to take the Nashville Music City Center by storm? Check our availability today and start planning your trip! If you liked learning about this venue, you’ll love reading up on the Ascend Amphitheater and The Parthenon in Nashville.